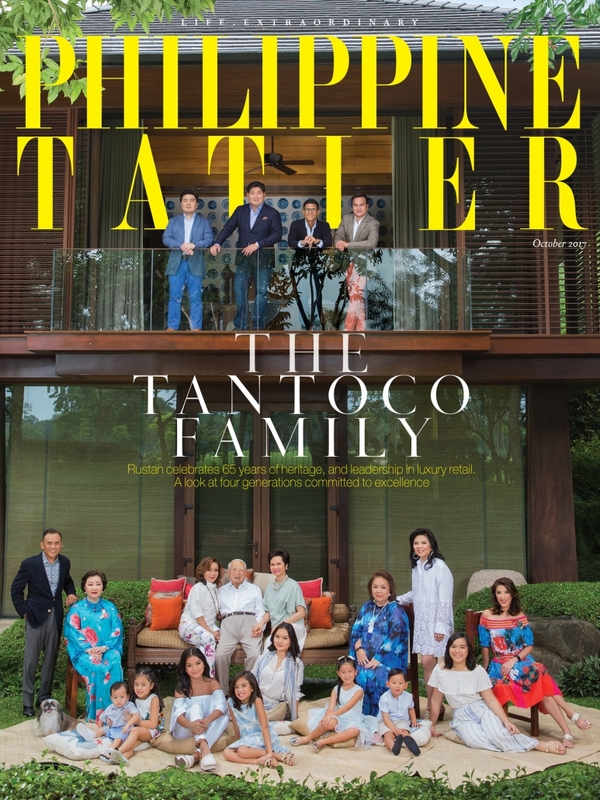 Philippine Tatler presents its 2nd fashion issue of the year with the illustrious first family of Filipino luxury retail, the Tantocos, celebrating the premier department store Rustan's 65th anniversary. 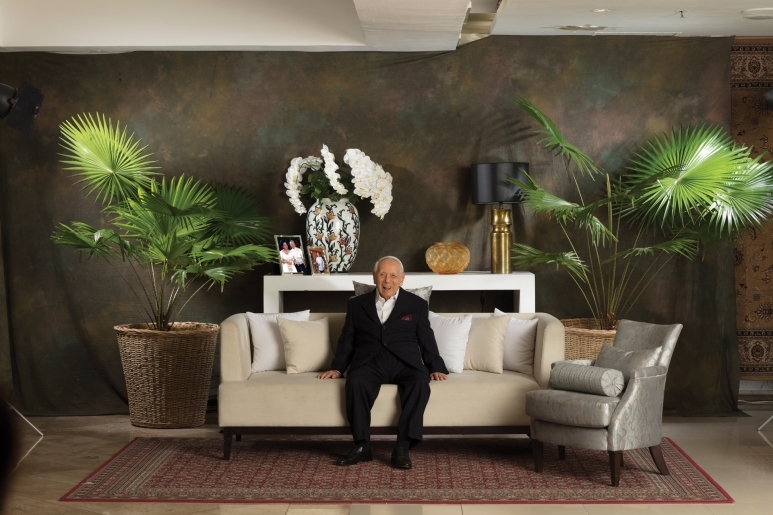 Take a look at the beautiful photographs of the four generations of the Tantoco family expertly handled by master photographers Wig Tysmans and Raymund Isaac. Also in this issue: 50 of the country's newest fashion influencers, a rundown of the season's most exclusive looks, accessories, and trends from international designers for men and women, a feature on UK designer Alice Temperley at her country home in Somerset; and last, we take a slight detour from our theme and spotlight Michelin-starred Chef Jason Atherton and his lovely wife Irha whom we photographed in London at their workplace and celebrated restaurant, Pollen Street Social. "We finshed on time!" 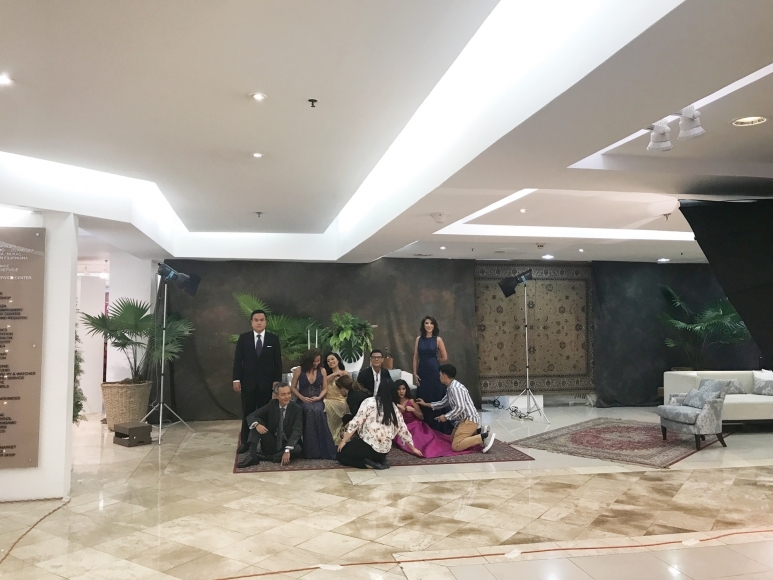 was what echoed through the halls of Villa Marina at Santa Elena Golf & Country Estates when the photographer took his last shot of the day, just before the clock struck five. A month ago, no one thought it was possible to do this pictorial, what with the number of subjects involved. After all, four generations can easily add up to 87 individuals, 60 of whom graciously participated in this project. 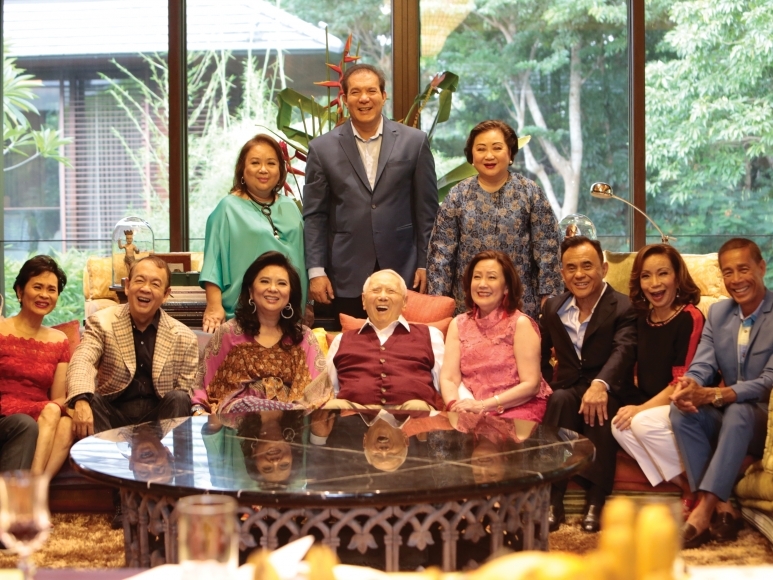 But the first family of luxury retail is celebrating 65 years of achievement, enough reason to make an extra effort to capture the amazing Tantoco clan and document this milestone. 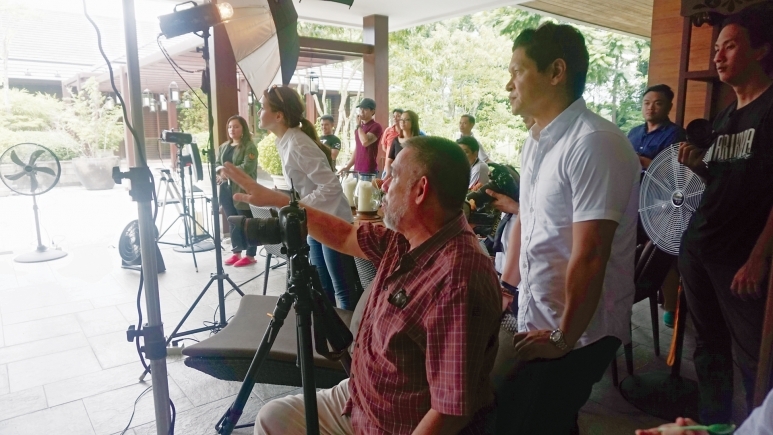 So when Nedy Tantoco, the chairman of the Rustan Group of Companies, gave the go signal, impeccable organisation and detailed planning immediately went into effect. Under her guidance, hours of meetings with Tatler were held to iron out the kinks, so to speak. 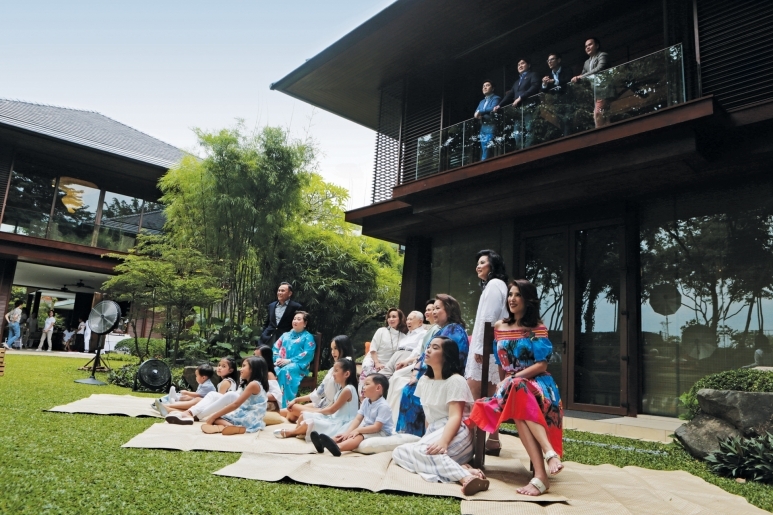 Dina, wife of third-generation Paolo Tantoco and marketing communications head of Rustan Commercial Corporation, was given the herculean task of creating a schedule that would meet the approval of everyone. Finally, it was decided that, to do justice to this exemplary family, the shoot ought to be held over two days, with two of the master photographers in the country: Raymund Isaac and Wig Tysmans. 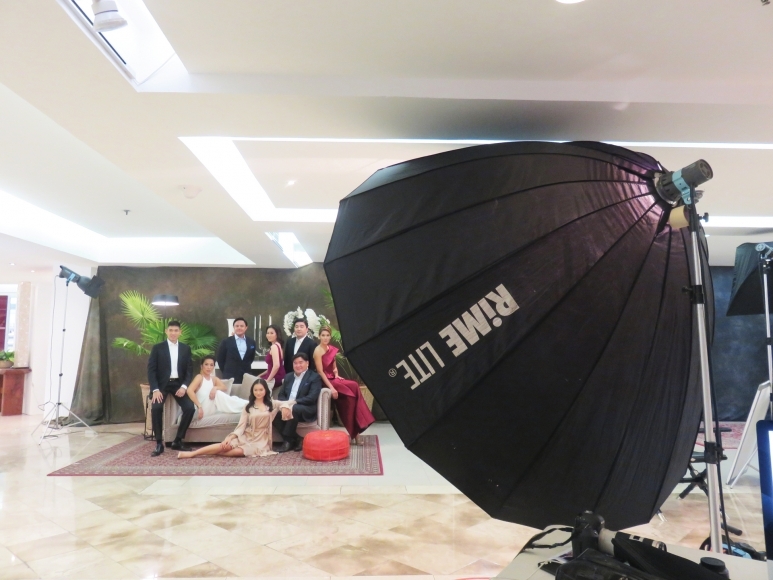 The first location was on the 5th floor of Rustan’s Makati with Isaac behind the camera. The second was at the country home of second-generation Rico and wife Nena at the Villa Marina in Laguna, this time with Tysmans. The clan’s playful kids were in attendance at Santa Elena, adding the warmth of family to the charm of the country setting. The weather cooperated although the threat of rain by an overcast sky loomed the whole day. So there was a palpable rush to achieve the multiple layouts scheduled for the day. Finally, after the last shot, everyone applauded and shouted with joy over the feat accomplished not only on that day but at the first pictorial as well. What added to the success of the occasion was that the main goal was reached amid a warm familial setting of a family get-together, thanks to the picnic setup and scrumptious buffet lovingly prepared by the day’s hostess, Nena. After everything was packed away, and as the team was about to go home, then and only then did the raindrops began to pour. Even the heavens approved.